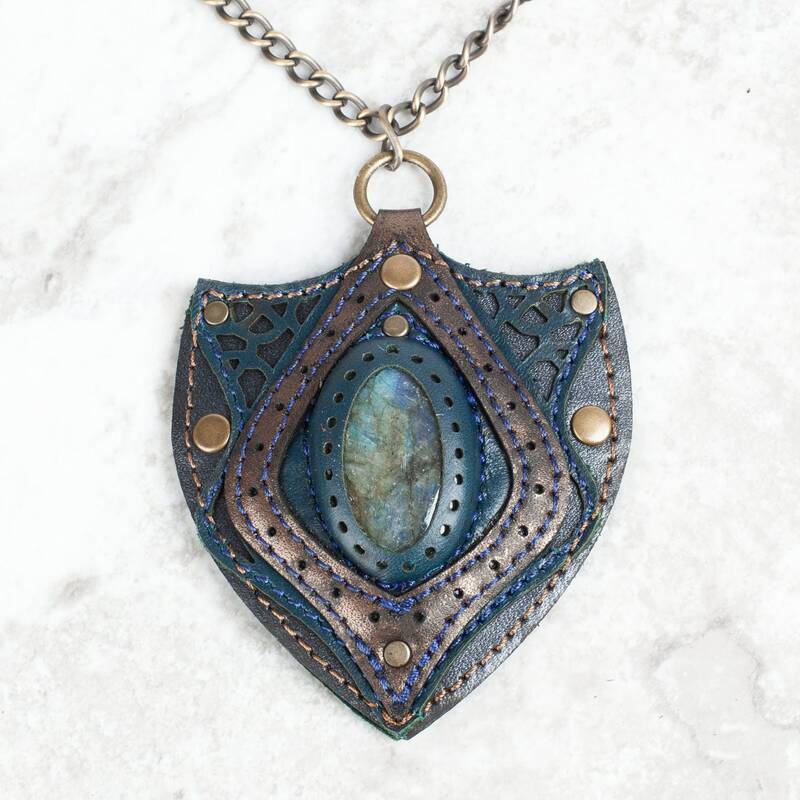 In honor of the incredible synchronicity's, healing's and goodness we are currently experiencing in 2019 and in response to how harrowing 2018 was for our family, we've created this heart chakra, shield like, gemstone pendant for protection. 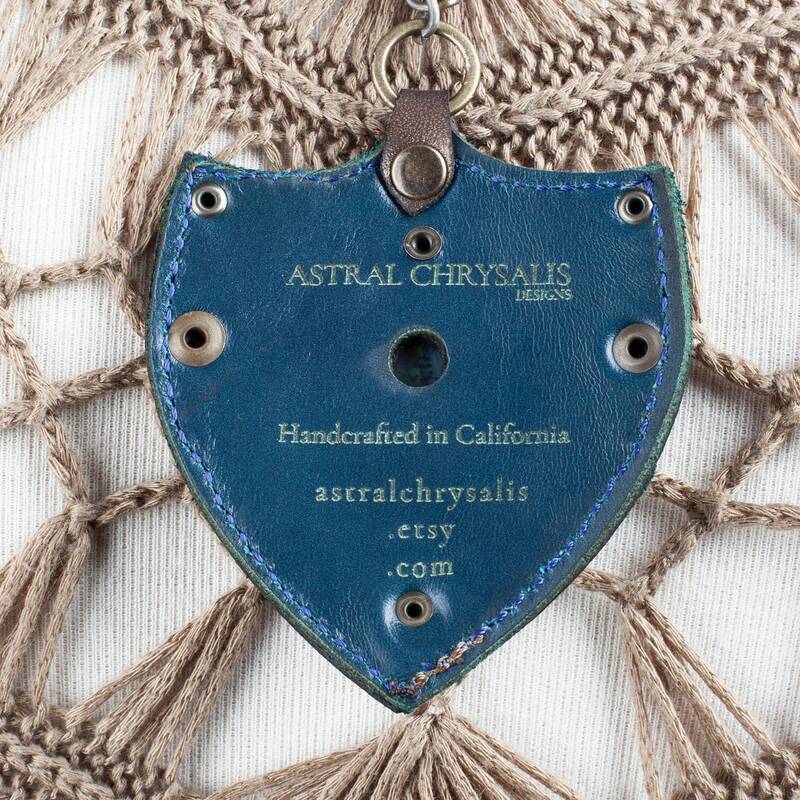 We've been guided to name it the Metatron Pendant after the Archangel. 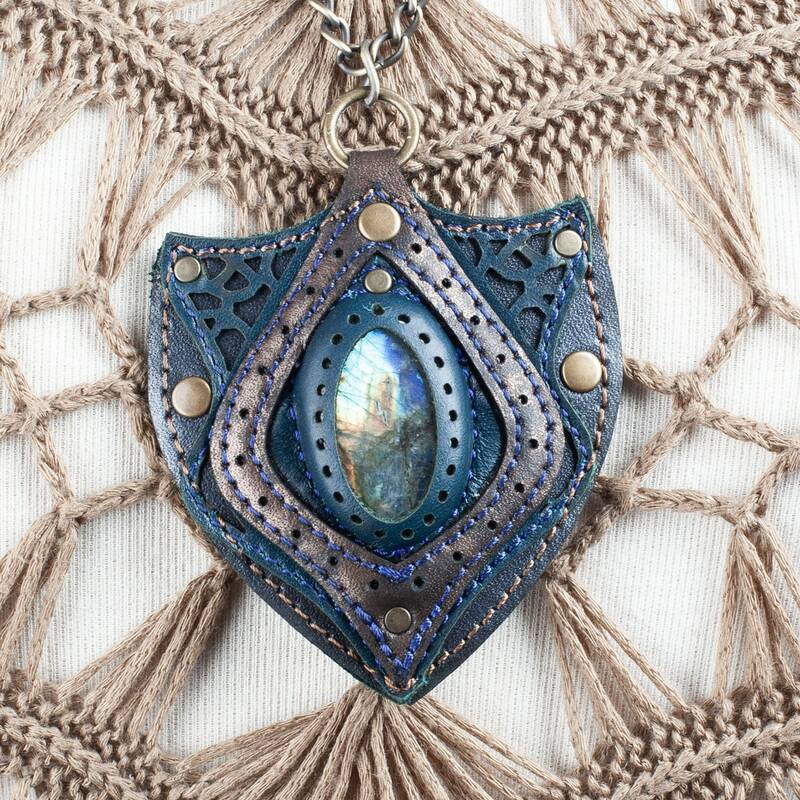 Wear it as a shield of protection against negative people, energy and situations. Let it keep your heart safe and protected as you shine your love and your light out upon the world. You are a light warrior, own it, do good and be safe out there. 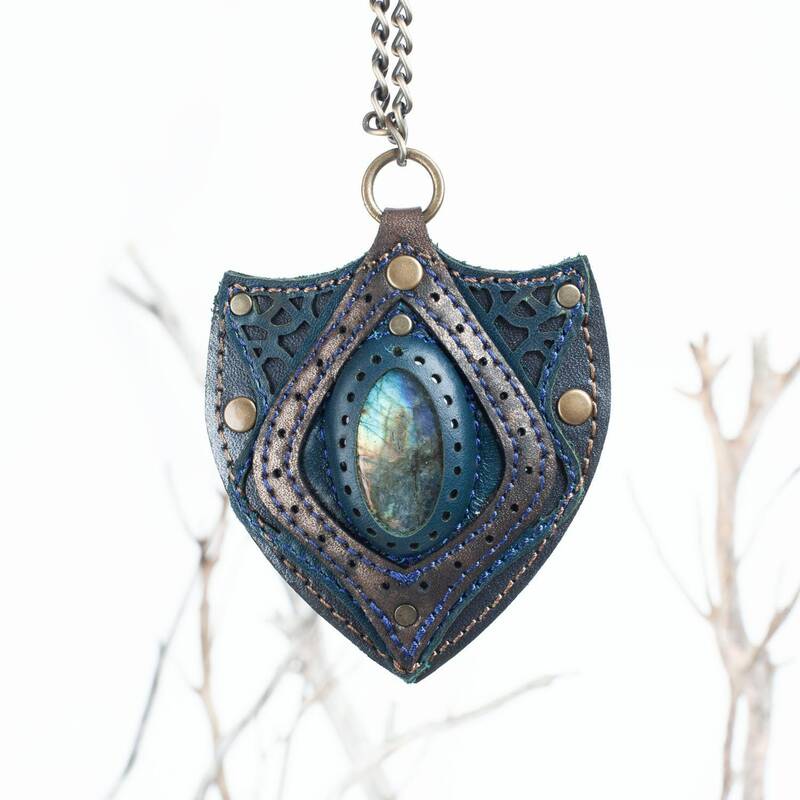 The Metatron Pendant is made of multiple layers of leather. 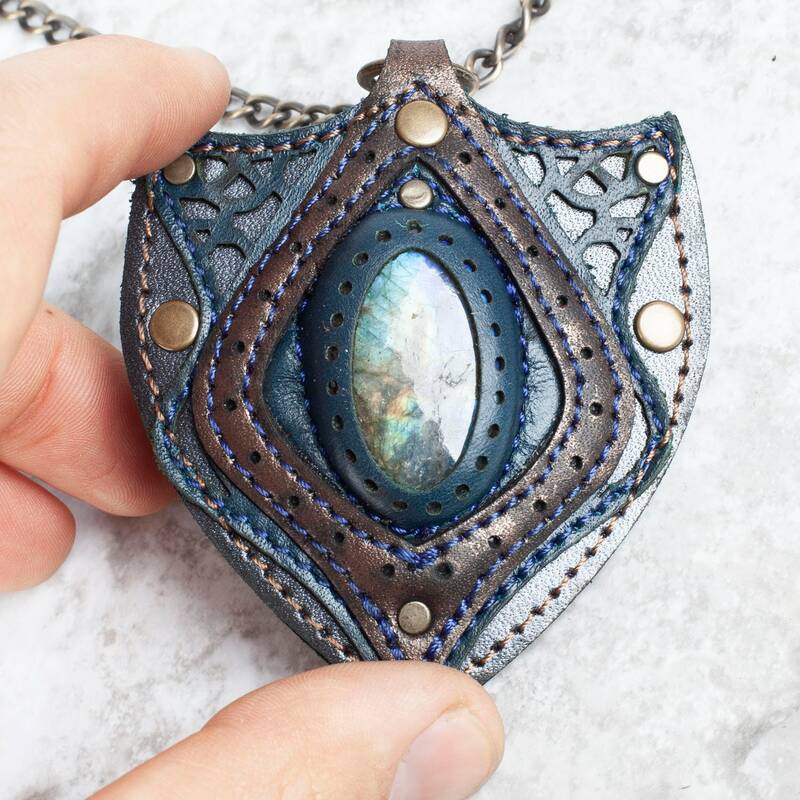 The base layer is a waterproof Metallic Silvery Blue, the next filigree layer is a Dark Teal Blue which creates the bezzle for the gorgeous Labradorite Gemstone and the top layer that frames the gemstone is a Metallic Bronze with filigree detail. 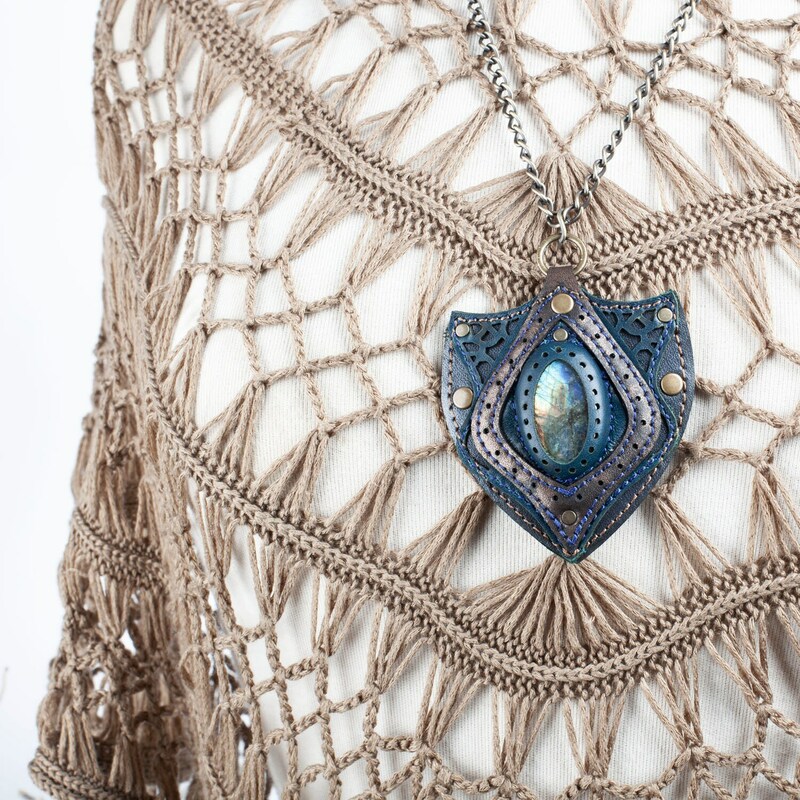 Royal Blue and Light Golden Brown thread detail stitch, Tarnished Brass Hardware and Chain. 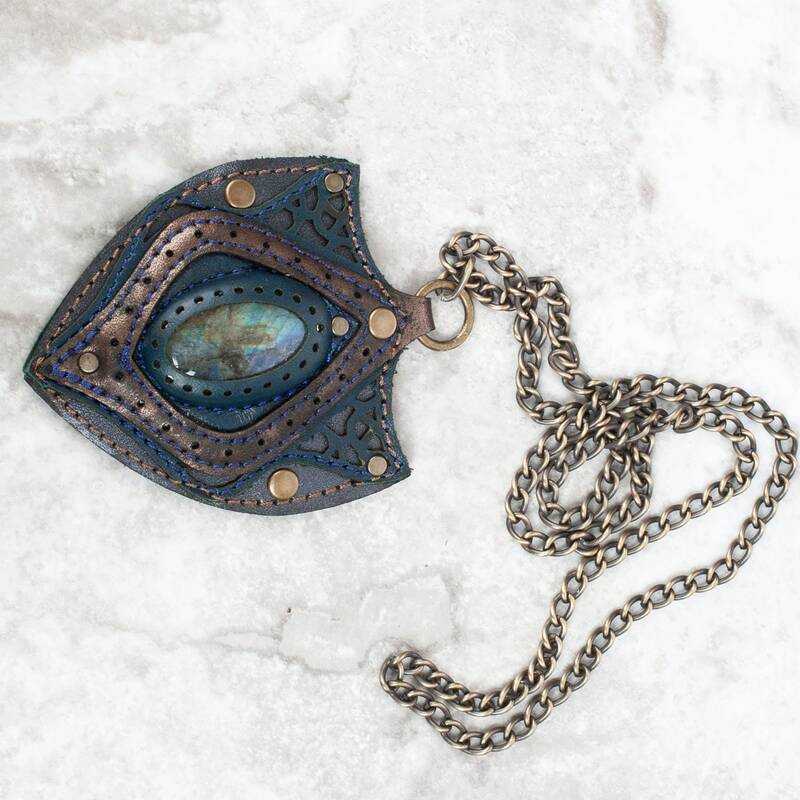 This pendant is 3" Tall, 2.62" Wide and hangs right at the Heart Chakra. 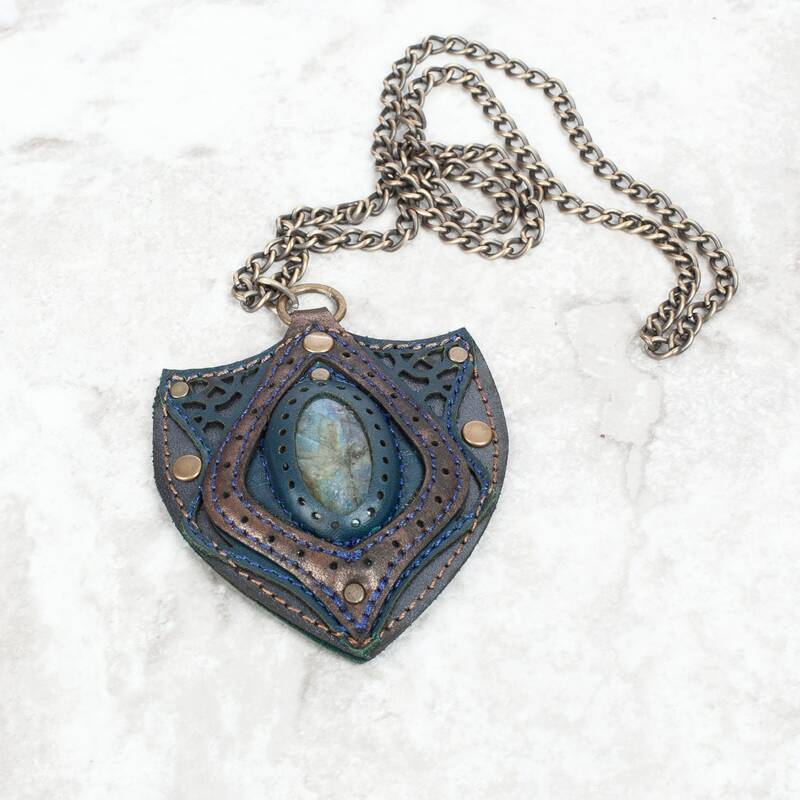 The chain measures 11" in length from neck to pendant and slips over the head. 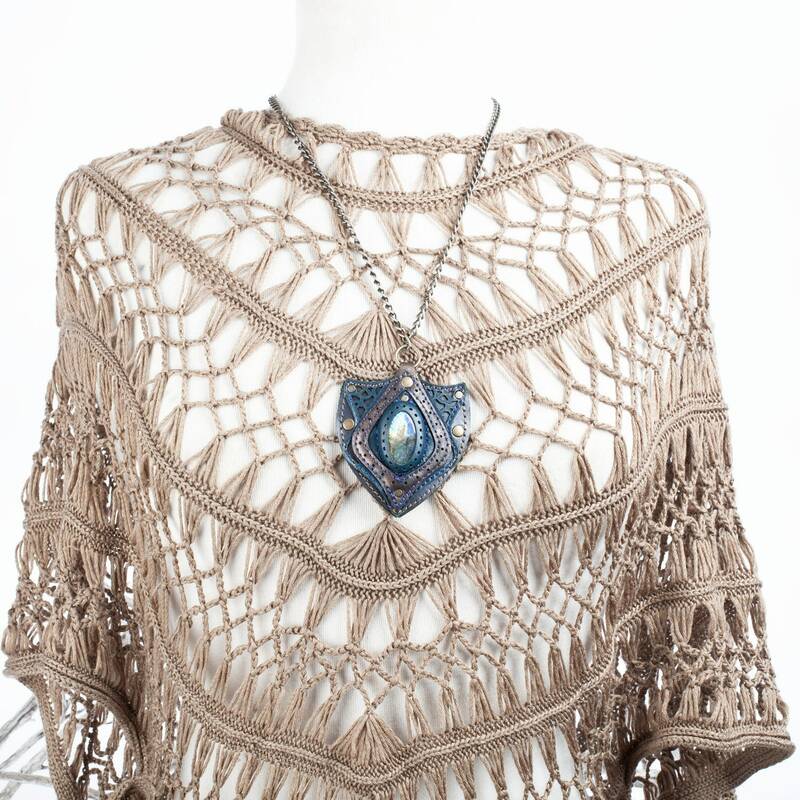 We can adjust the length of the chain and add a clasp by request, just note this at checkout. 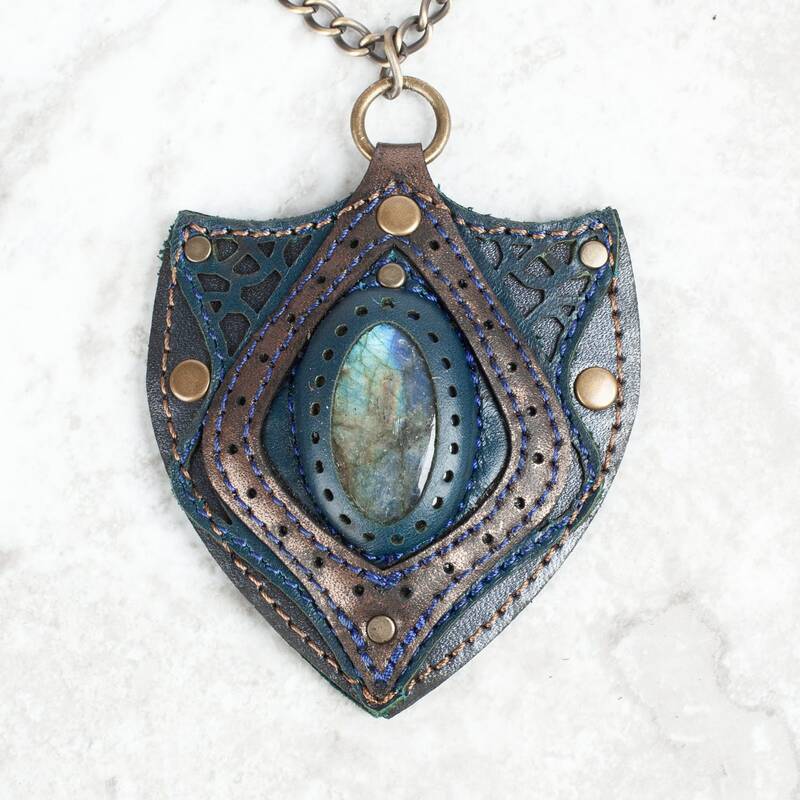 Labradorite is a powerful stone of transformation! It awakens ones innate magic and psychic abilities. It imparts strength and perseverance as one spiritually awakens and raises one's consciousness.